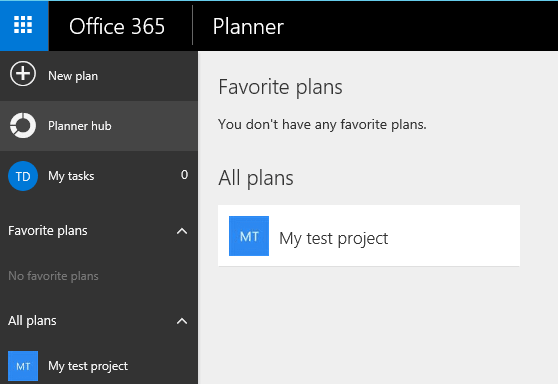 Just few days ago Microsoft announced that his latest application for Office 365 – Microsoft Planner is going live. I was using it during preview time with my team and I have to say that it’s awesome! If you have Office 365 you will get solution which allow increase your team productivity. From my point of view Microsoft Planner is very simple team management software, which also allow us to make simple project management. It similar to other products on the market like Trello or Slack. Let see how to create our plan. It’s very simple, we just need to enter plan name and decide if our plan become public or no. After that just press “Create plan” and we are ready to go. Also we get dedicated e-mails address to the plan – it’s not require any work from IT team… Let’s create our first task in our plan. Just press + icon, and enter task name. Also you can assign person to the task and setup due date. It can be set up later too. It’s up to you. When we add documents for the task they will be saved to dedicated OneDrive space. Also we can make conversion with our plan members. Members will be notified if something new happen in our plan. When you go charts for specific plan you can see progress for all in the plan, it allows you to have quick view how things are going. 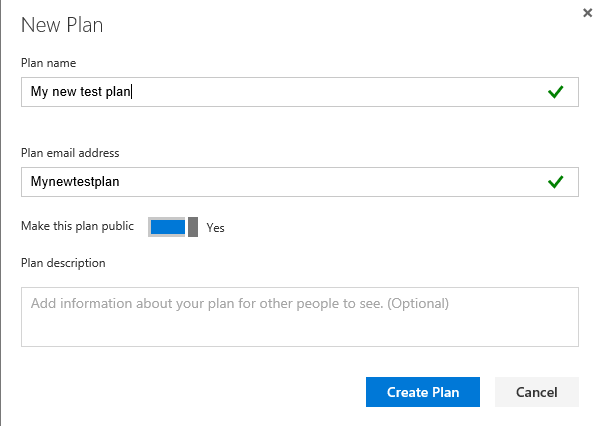 Be default when you go to planner hub you will see all your plans. But there’s very nice feature. 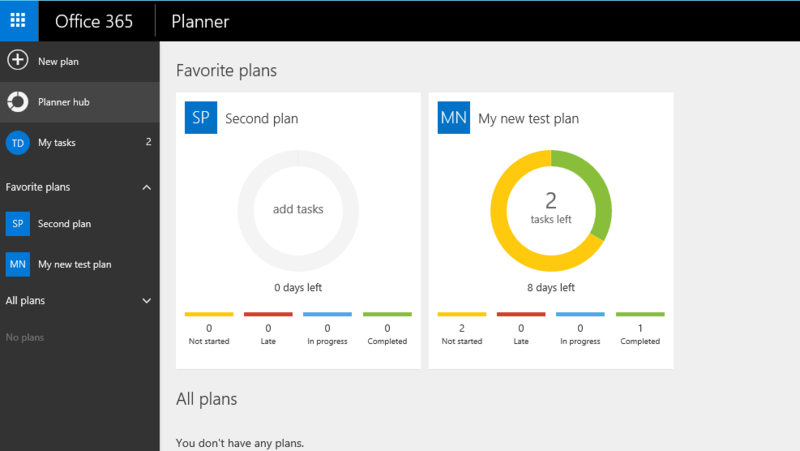 If you add any plan to favourites you will get also in planner hub those charts with progress. As you can see colours on the charts are standardized, you can very easy find out how all your plans works. You just take a look and you can see which plan require your attention. And that’s all. 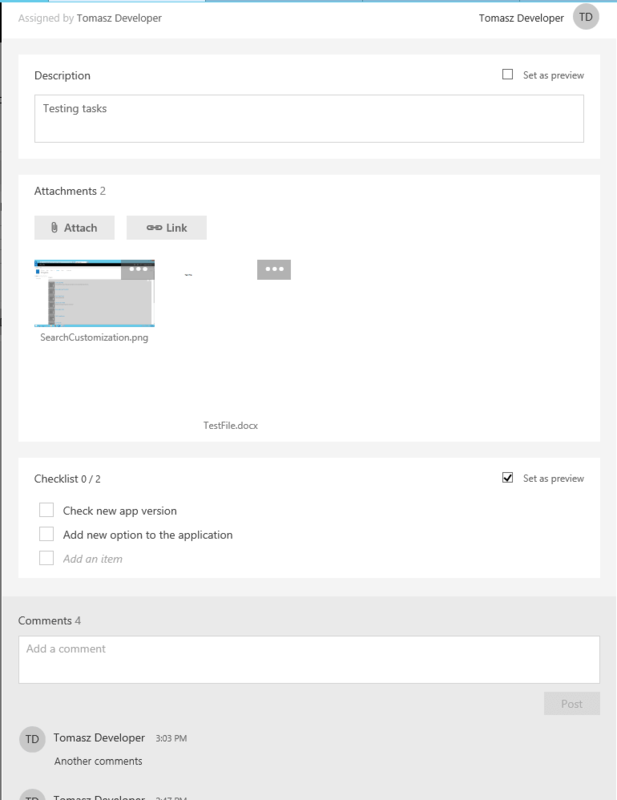 As you can see application is very simple, but still give us a lot of things, in very simple way. It very important when you have to work with non it people. They don’t need huge project/task systems like Jira or Mantis. 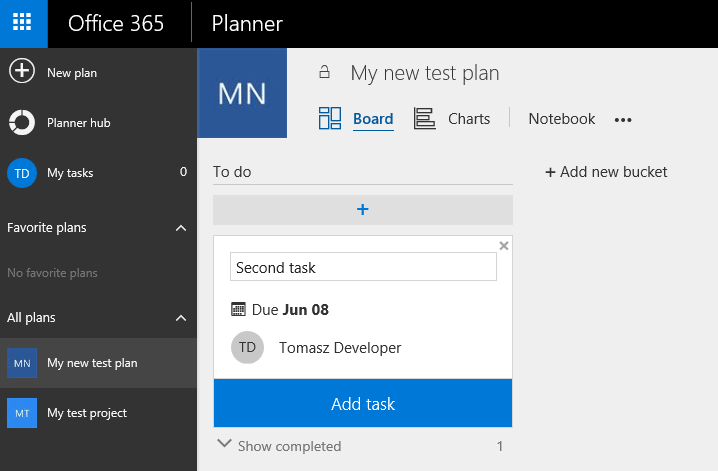 They need something simple and I think that Microsoft Planner is very good solution for this.